Guide + Bus transport (In Los Gigantes Excursion boat trip is also included). Material: Boots + 1 backpack + 1 walking stick. Snack: Ham and cheese sandwich + 1 banana + 1.5L bottle of water. A jacket, a cap, sun-glasses, sun-cream. 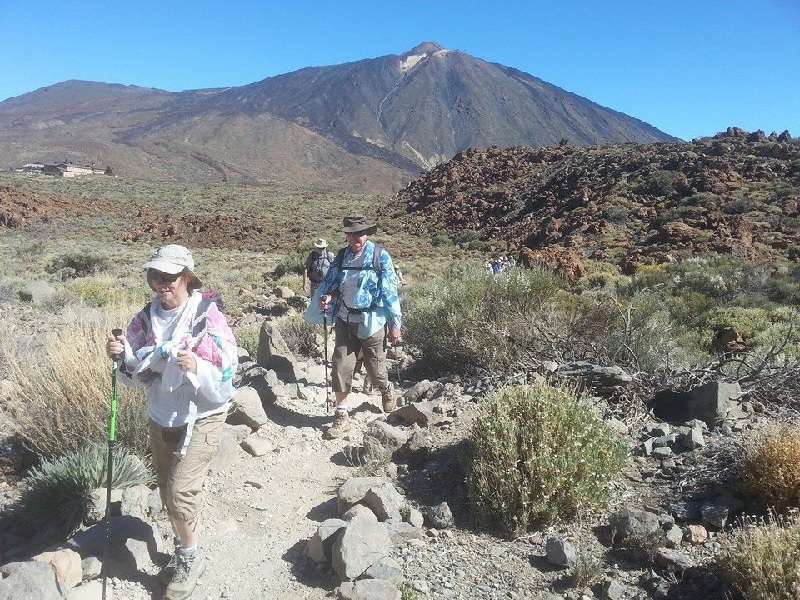 Walk with departure from Santiago del Teide and arrival at Los Gigantes. Once in Los Gigantes, we will make a boat trip sailing along the cliffs and enjoying magnificent views. 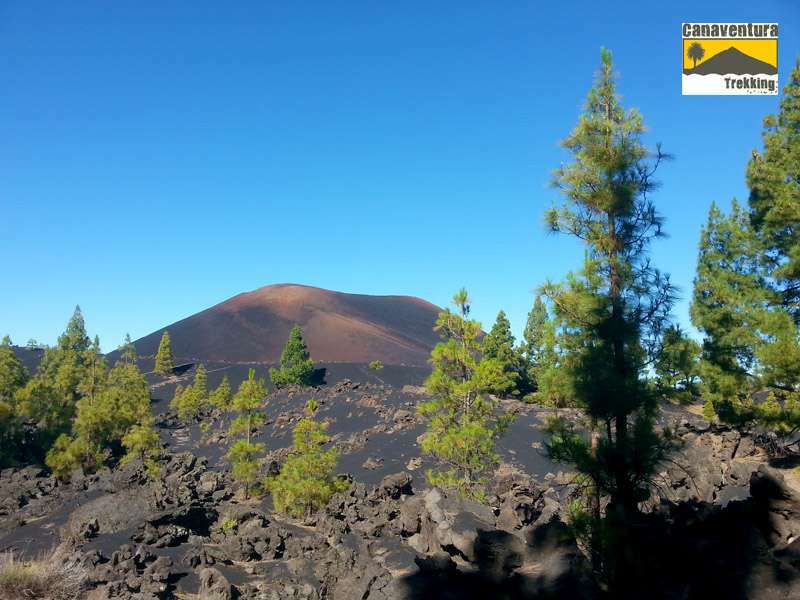 Discover the national park of Teide, Unesco World Heritage, walking arond the " Roques de García" between lava flows and volcanic forms. 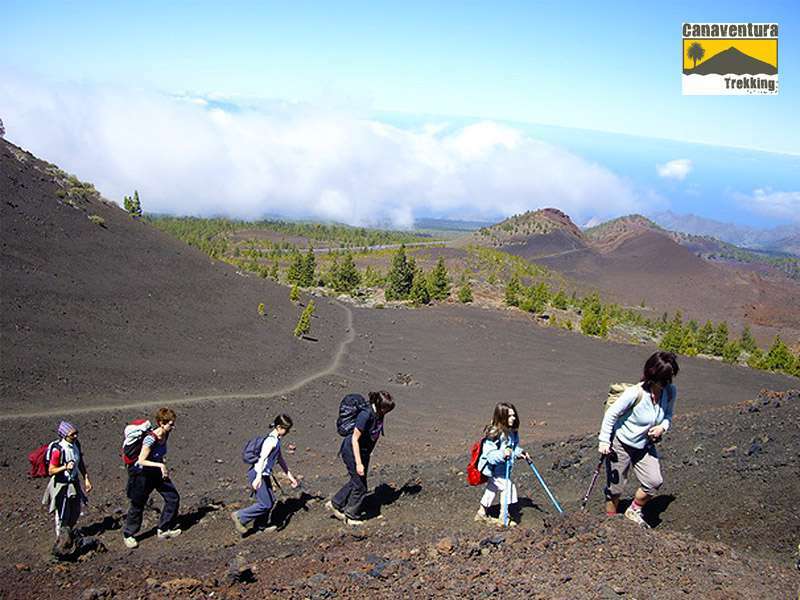 We will observe the flora and the fauna and also live a unique experience, surronded by an amazing mineral and volcanic scenery! It is possible to go up to La Rambleta in the cable car (extra cost). 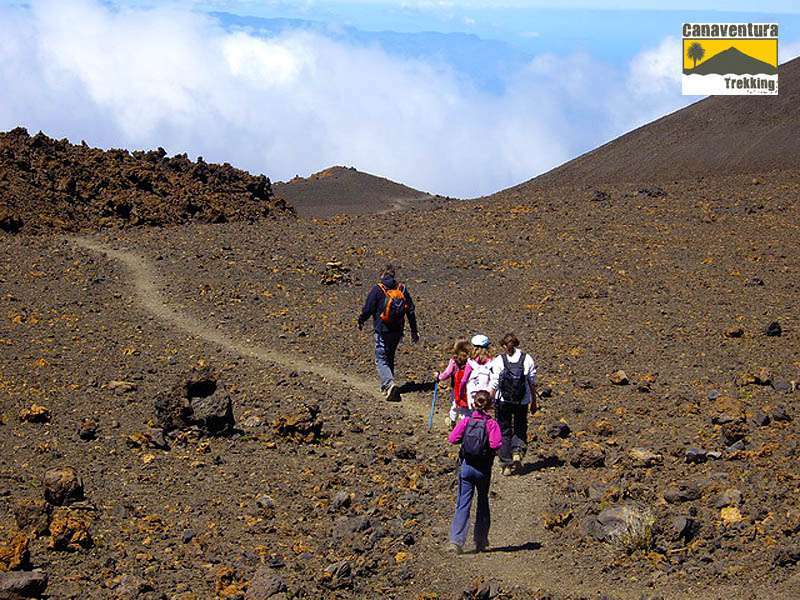 Included: Guide, bus transport, boots, 1 backpack an 1 walking stick. Come and experience this magnificent scenery with us. 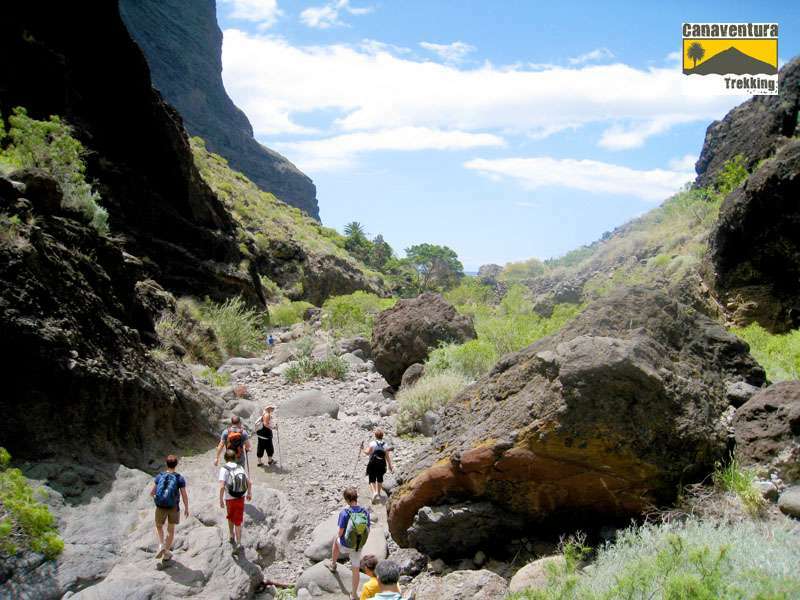 Waterfalls, streams, pools and the sheer cliffs are just part of the spectacular sights to be enjoyed on your visit to the lost valley of Masca. 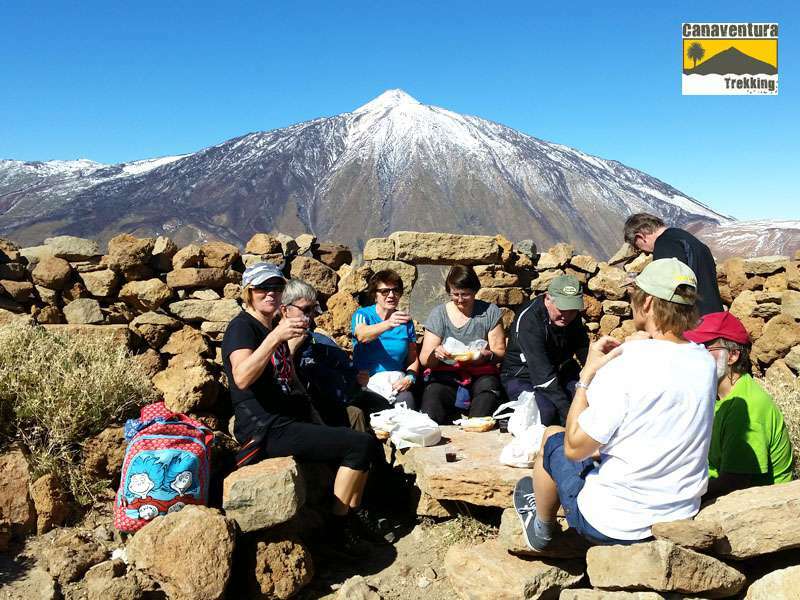 We depart from your hotel or apartment and travel to the lost village of Masca, high up in the mountains between Santiago del Teide and Buenavista (exact time and pickup point givat at reservation). 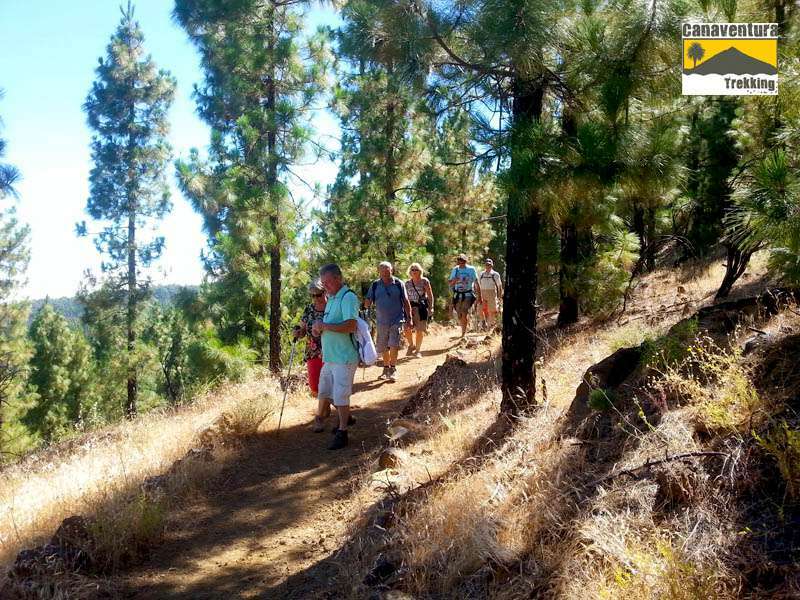 There you will have time to sample the local food and drinks before setting of on your walk into the valley. At about 11.00 a.m. we will start our walk. 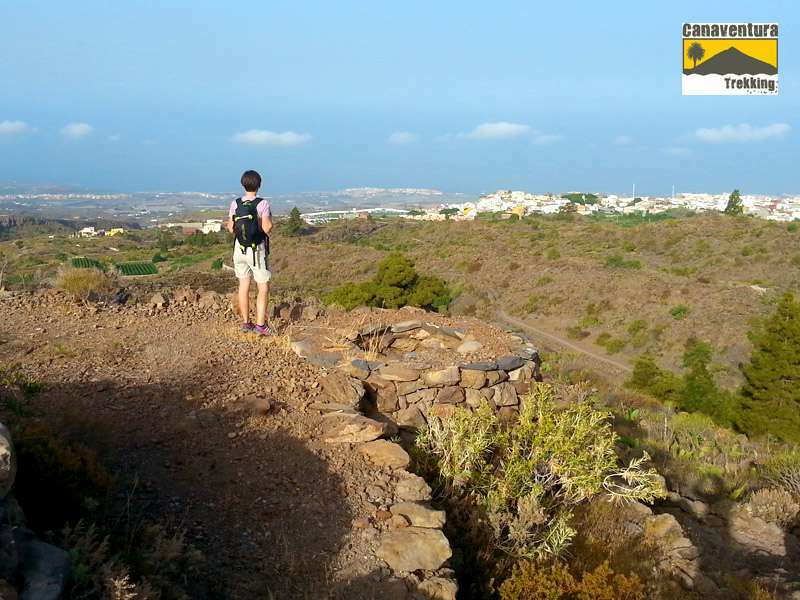 An experienced guide will take you through the approx. 8 km long valley and will explain to you all the points of interest. Trees and flowers not known to exist anywhere else in the worls, palms, cactusses, fig trees and vineyards can all be seen as you experience the beauty of the valley. Once in the Masca bay, after about 3.5 to 4 hours, there will be time to relax and sunbathe or swim in the crystal clear water, before a boat comes to collect us and return us to the Los Gigantes Harbour. Your boat Cruise will take you beneath the cliffs rising over 500 meters out of the sea, giving Los Gigantes its name "“ The Giants. With a bit of luck we will even see whales and dolphins. From the harbour of Los Gigantes we will return you to to your pick up point, so you have time to relax and prepare yourselves for the evening, which will complete a day you will remember for years.